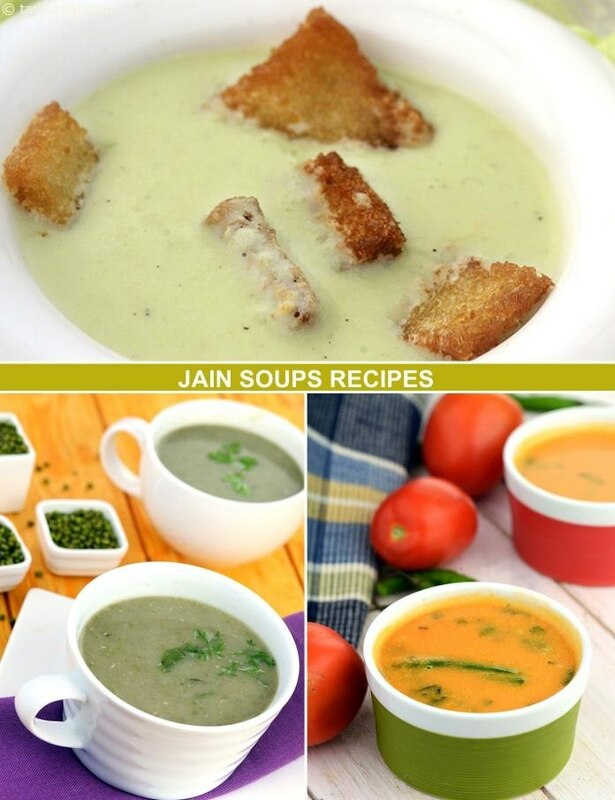 Jain Soups – Soups like Tomato Shorba and Moong Soup delight your palate, even without using ingredients like onions, garlic and potato. This section has many more such Jain-friendly soups, which will be loved by non-Jains too because of their super-duper flavour and aroma! Wholesome manchow soup, straight from the treasury of chinese cooking into the jain kitchen. A spinach based soup with sweet corn, flavoured with fresh basil. do not use over ripe tomatoes as it spoils the taste. do not use thick canned cream..
use only fresh home made cream. A delicious blend of carrots with oranges in the Oracasa soup makes is an appealing soup recipe which can be relished as a cold soup during summers. The orange colored oracasa soup is cool, healthy and delicious and sure to be loved by children. An easy and starchy rice soup with rice cooked together with a dash of milk and butter. A lovely energy packed rice soup recipe for children.